A report by property consultants Ryden will this week cast a very dark shadow over the Scottish property market which is under severe political pressure. Since the 2014 independence referendum investors have become increasingly concerned about the political environment in Scotland which is erratic to say the least. On one hand we have the Scottish government, in the shape of the SNP, fighting the UK wide decision to leave the European Union as well as pushing for a second independence referendum. So far the UK government has refused to give permission for the second independence referendum but pressure is growing and it is starting to have an impact upon the Scottish property market. In simple terms it looks as though unprecedented political uncertainty across Scotland is starting to take its toll on the Scottish property market. The latest bi-annual review from Ryden will confirm that some investors are set to “pause for thought”. This comes at a time when the Scottish property market had shown some signs of recovery after the 2014 independence referendum. However, the lurch from one referendum to another is not assisting investor confidence going forward. If we cast our minds back to the 2014 independence referendum this led to a period of inactivity right across the Scottish property market. Nobody was quite sure what currency an independent Scotland would use, whether it would retain its membership of the European Union and what percentage of UK debt Scotland would be forced to take on. Unfortunately, many of these questions remain unanswered as we approach what may well be a second Scottish independence referendum in the short to medium term. While the overall Scottish property market is set to struggle in light of the volatile political situation, there are some interesting developments in areas such as Edinburgh. This market has remained “robust” over the period in question and it does look as though a number of companies are relocating to Edinburgh. Indeed there is also evidence to suggest that technology companies see Scotland as a future home. This is all set against the background of little in the way of new office developments across Edinburgh which is pushing the price of current stock upwards. The Glasgow market has been described as “subdued” over the last six months but interestingly there are signs of recovery in Aberdeen with the oil price beginning to move higher. This would certainly be a shot in the arm for the Scottish economy which took a major hit as the Aberdeen economy collapsed in light of the falling oil price. The report also looks at prime rents across Scotland’s top 20 locations with indications they have stalled over the last six months. There are signs that consumer confidence is falling and expenditure is now starting to follow suit. Rising inflation, limited wage growth and rising household debt will all come into play in the short to medium term and impact the Scottish economy. So, we have political uncertainty rocking the Scottish property market and falling consumer confidence hitting the Scottish economy. At this moment it does seem doom and gloom for Scottish property but for those with a long-term investment eye there may well be some hidden gems to consider. 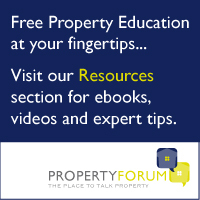 Should you ever completely liquidate your property portfolio?